From 25-28th May 2016, CMC attended Classical:NEXT 2016 in Rotterdam, based at the IAMIC stand (International Association of Music Information Centres) with support from Culture Ireland. Classical:NEXT is the world’s largest classical and contemporary music expo. It features conferences, showcases, presentations, seminars and a whole host of other events and opportunities. Similar to WOMEX and SXSW, it exhibits the work of labels, publishers, agents, festivals, associations and others. It is a key opportunity to promote and explore new talent annually, with international delegates such as Carnegie Hall, The Metropolitan Opera, Spotify, Universal, China National Symphony Orchestra, Berlin Philharmonics and more attending. 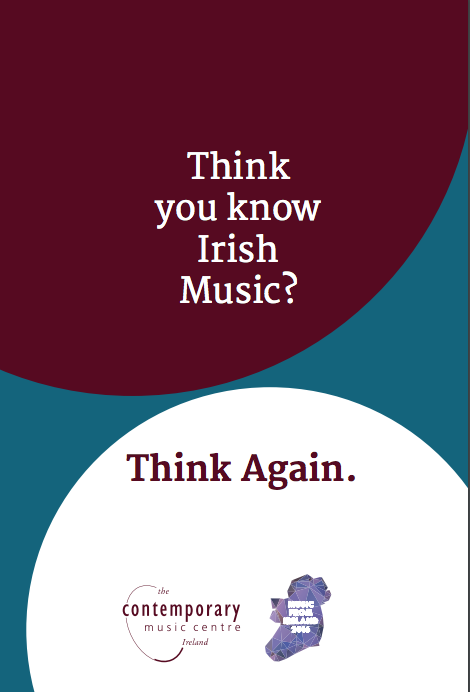 It is a fantastic platform for the promotion and presentation of the very best of the Irish contemporary music scene. As one of the few Irish delegates attending this year’s expo, CMC produced a high quality brochure of new music ensembles and performers, to showcase the diversity and vibrancy of contemporary music from the island of Ireland and to open up international opportunities for new music ensembles, performers and composers in Ireland.